The other week I happened to stumble into the MAC store on Cannon Street in Birmingham, which is forever a busy store!! The first thing I saw when I walked through the door was the beautiful Holiday Collection. I couldn’t resist the glittery, sparkly colours and the beautiful offerings on show, the difficult part was which products to choose! In the end I went for a few products from the Keepsakes range. This compact is so beautiful! The casing is black and sparkly with a cameo embossed on top. Once you open it up it is filled with some lovely purpley plum shades, perfect for winter and creating a different smokey eye look. The bag is just as gorgeous as the products that are in it! The bag is black and glittery, very much like the compact above, with a delicate pearl detailing around the edge. The bag contains two eyeshadows and an Extreme dimension eyeshadow and eyeliner combo. The colours of the eyeshadow are beautiful. The white shade is very pretty, almost pearly in colour and the black is very black with a bit of sparkle running though it. My final two purchases were a few must have MAC items, that I didn’t have, a 217 brush, which is a beautiful brush to blend out the smokey eye look and a Ruby Woo lipstick! 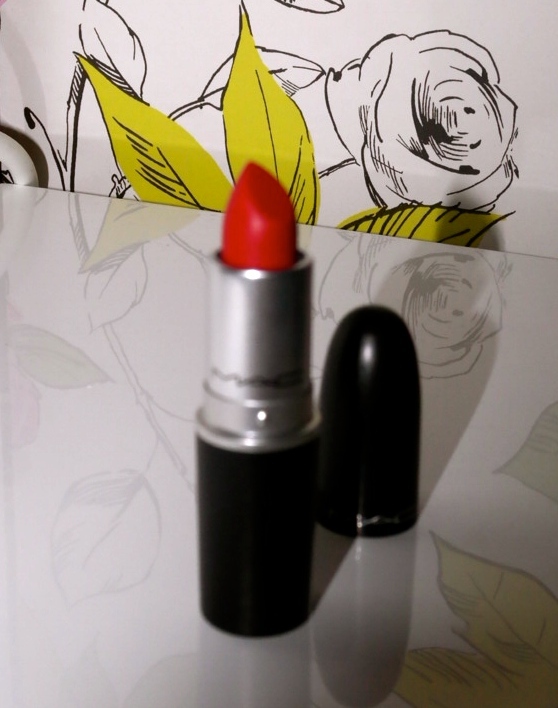 Ruby Woo is beautiful red colour and I can’t believe I have lived without this in my life for this long! I am totally in love with it! I may have to avoid another trip to MAC in the near future as I am not sure my bank balance can handle it!!! Unfortunately the plum eyes and the smokey eye bag are sold out online, but you may be able to still get it in store!